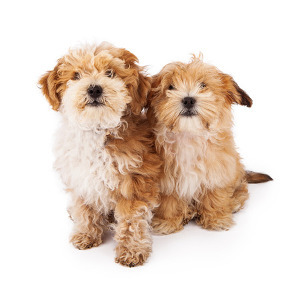 If you are a new pet owner, or are simply wanting to find out more about the realities of owning a pet before you commit to one, it is appropriate to consider hypoallergenic dog breeds. First, you should understand that a truly hypoallergenic dog breed does not exist. When we talk about hypoallergenic dog breeds, we simply mean breeds that are a better choice for allergy sufferers. What Makes an Animal Hypoallergenic? The term ‘hypoallergenic’ simply means less likely to cause an allergic reaction. You often see this term appearing on labels for cosmetics or skincare products. People with sensitive skin who buy a product that is hypoallergenic will be less likely to react to the product when they apply it to their face or body. This general principle can also be applied to animals; cats and dogs in particular. Cat and dog allergies are mainly caused by what’s known as ‘dander’. Dander is a combination of dead skin cells and other substances which can include saliva, urine, pollen, dust, or the actual animal hair. An animal is hypoallergenic if it sheds less, because it is through shedding that dander can trigger an allergic reaction in a pet owner. Thus, when we think of hypoallergenic animal breeds, we really mean animals who don’t shed often, if at all. The idea of hypoallergenic dogs is a recent trend in modern society. It became a topic of interest when President Obama was choosing a dog for his family during his presidential campaign. One of his daughters suffered from allergies, so it was important to find a dog deemed to be ‘hypoallergenic’. The American Kennel Club actually launched a poll to get the public involved in finding the perfect breed for the Obamas. They might not shed a lot, but poodles require a lot of care and grooming, so bear this in mind before you choose your next pet. This breed is beautiful to look at, and make excellent companions. Even though they have long hair, they rarely shed. A Bichon Frise is a popular dog breed. They are perfect for anyone with allergies or young babies, because they don’t shed and are so small that you don’t need to worry about having them near children. The Labradoodle has a distinct coats that resembles crimped hair. Founded in 1972, this is a loving and independent working dog breed. This is an easygoing version of the overall terrier breed, making it a great family pet. They may not be pretty, but this breed is almost hairless, making them a perfect choice for someone with pet allergies. The Giant Schnauzer is loyal and courageous, and can make excellent guard dogs. They are not recommended for homes with young children because they are large in size and can be intimidated by both people and other dogs if not socialized properly. A very unusual looking breed, the Afghan Hound is tall and elegant, with an exotic overall appearance. The Kerry Blue terrier breed is an intelligent hunting breed. They need space to explore and can be quite energetic, so are best for potential pet owners who can exercise a dog regularly and have a large garden. If you are a new pet owner, or are just looking for a pet that would fit in with your lifestyle, it’s a good idea to consider some alternatives. As well as hypoallergenic dog (and cat) breeds, there are also pet alternatives for people with severe allergies. 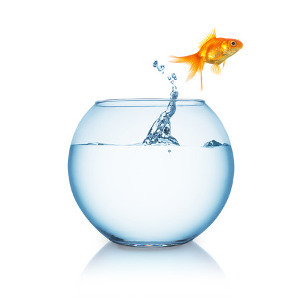 If you want a really low maintenance pet, why not think about getting a fish? Granted, fish are not affectionate like dogs, and they won’t make you feel like the best person in the world after a busy day at work, but they are very easy to look after. If you’ve never owned a pet before, or have never been the one responsible for looking after it, a fish is a great starting point. Your commitment to owning a pet can be measured by first owning one that is very low maintenance. If you struggle to look after a fish, you are certainly not ready to own a dog. If you’re not enthusiastic about a fish, and want something that is a bit more lovable, why not think about getting a pet that is adorable but also less likely to trigger a reaction? Rabbits, gerbils, and guinea pigs are all furry critters that aren’t given the free-roaming ability of cats and dogs, so their shedding will be localized in one place. They are usually kept in cages and allowed out of their cage to run around a small area or a single room, so you’re immediately reducing your chances of triggering an allergic reaction. Rabbits, gerbils, and guinea pigs are also a perfect stepping stone if you’ve never owned a dog. They are more affectionate and have more personality than a fish, but are easier to look after than a dog. Finally, many pet owners who struggle with cat and dog allergies are better off getting some sort of a bird. While it’s true that avian species do still release dander and allergens in their droppings or saliva, you’re not going to have nearly the same probability of ingesting these as if you have a cat or a dog. This is because the bird is kept in a cage, and birds aren’t going to give you a face bath the way a boisterous dog does. Moreover, as long as you wear gloves or other protective gear when cleaning out the cage, you will rarely get any of the allergens on your skin or face. You can also keep an air purifier in the same room as the birdcage, further eliminating the possibility of triggering an allergic reaction. It’s all very well to talk about hypoallergenic dogs, but what if you’re a pet owner who owns a dog that isn’t hypoallergenic? If you’ve only just got your pet, you might not even be aware of your allergies yet. Conversely, if you dearly love your dog but suffer from allergies due to their dander, what do you do? Many pet owners are very attached to their animal, so giving them away is simply not an option. Keep your pet out of the bedroom. It’s fun to have your dog sleeping on the bed with you, but if you suffer from allergies caused by dander, you might just have to be more strict and keep them in their own bed at night in a different room. You spend a lot of your time sleeping, so keeping your bedroom dander free is an easy way of reducing the effects of pet dander allergies. Carpets may be soft to walk around on, and more comfortable than wooden or laminate floors, but they are the worst floor covering for allergy sufferers. This is because the dander, excess hairs, and other substances that trigger your allergies get stuck in the pile of the carpet. Even if you vacuum regularly, animal allergens are sticky, and will not all be sucked up. If you really want to improve your allergy without giving your pet away, the single best thing you can do is to cover your entire home in wooden or laminate floor coverings instead of carpet.